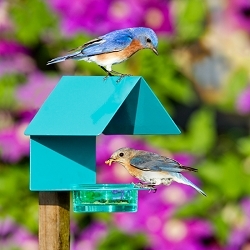 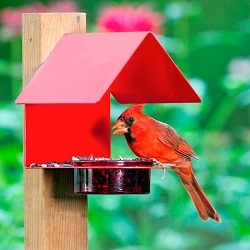 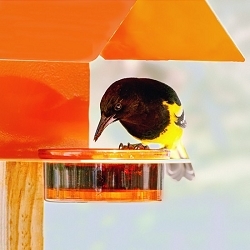 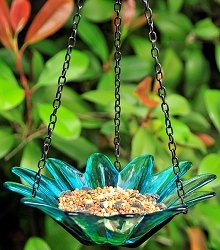 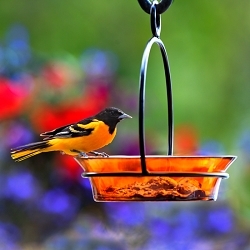 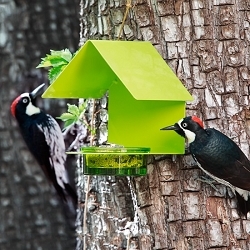 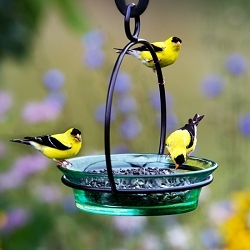 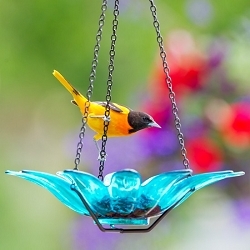 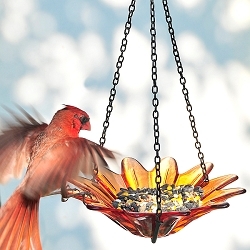 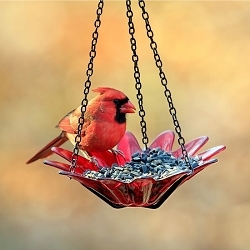 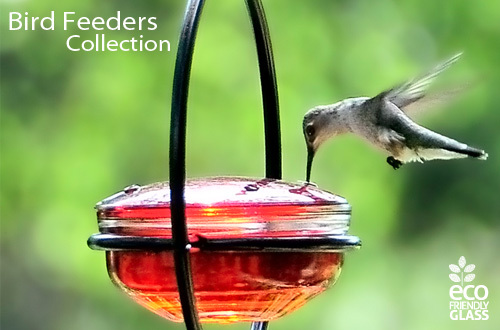 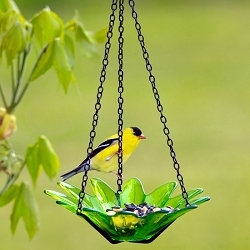 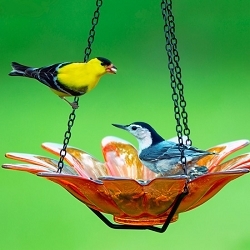 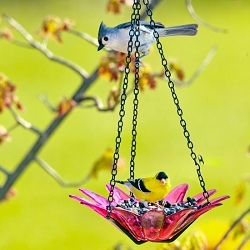 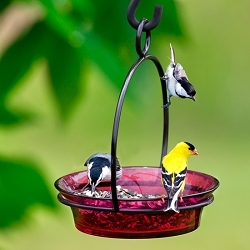 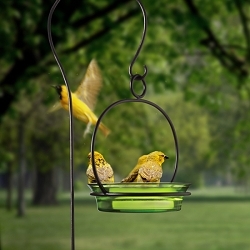 Beautiful decorative glass and metal designs including hanging bird feeders, hummingbird feeders, bird baths, bowls, bottles, vases and more. 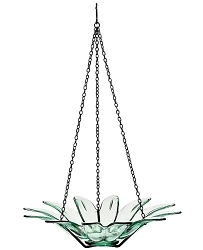 All items are handcrafted and made from Eco-friendly recycled glass. 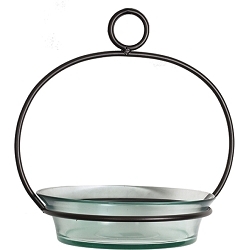 Intended for outdoor or indoor use. 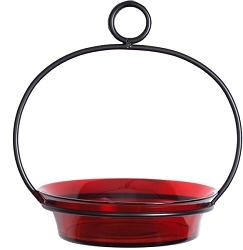 Each are boxed and make attractive gifts for any occasion. 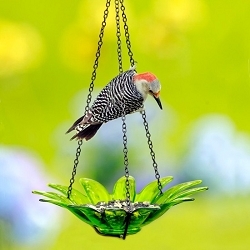 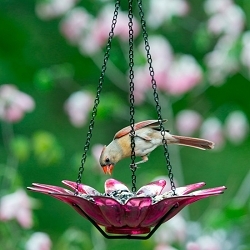 Daisy Hanging Glass Bird Feeder Fuchsia 8"
Daisy Hanging Glass Bird Feeder Lime 8"
Daisy Hanging Glass Bird Feeder Red 8"